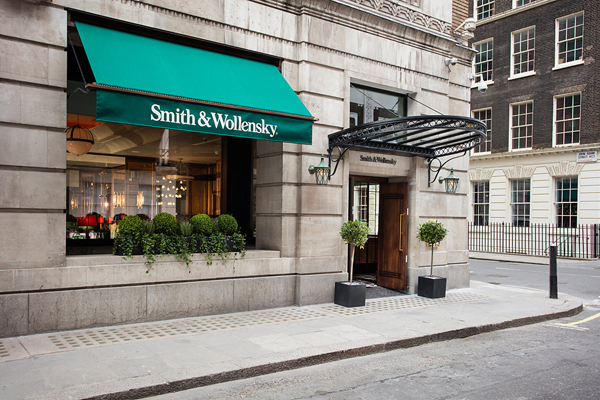 The Smith & Wollensky brand was created in 1977 with the opening of its first restaurant in New York. 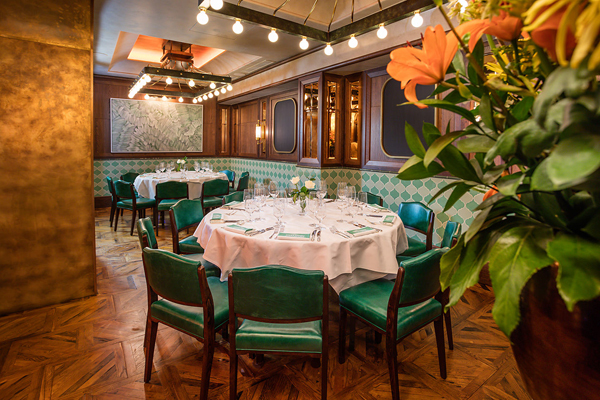 The flagship green and white building in New York began a boutique collection of iconic locations around the US, which has now been joined by the company’s first restaurant outside of the US, located in London. 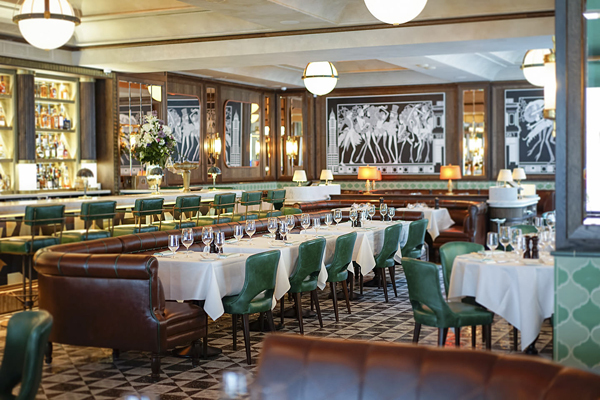 The Martin Brudnizki Design Studio was chosen to provide the look and feel with the brief to take inspiration from the original building, whilst bringing in classic Smith & Wollensky style elements to complete the traditional steakhouse design. Smith & Wollensky is renowned for its steaks, which are USDA Prime, dry-aged and butchered on-site. 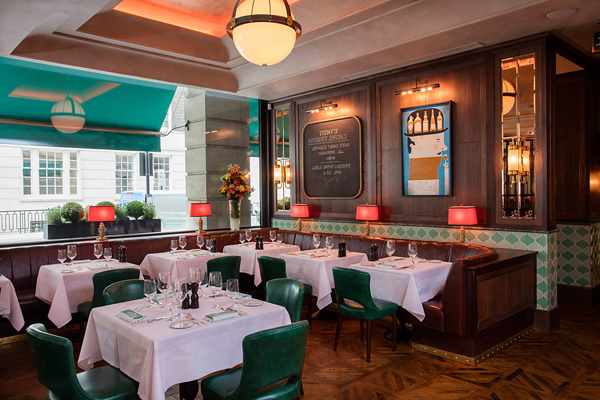 Alongside these, the restaurant offers British and Irish cuts and premium seafood, together with locally-sourced ingredients from the very best UK suppliers. 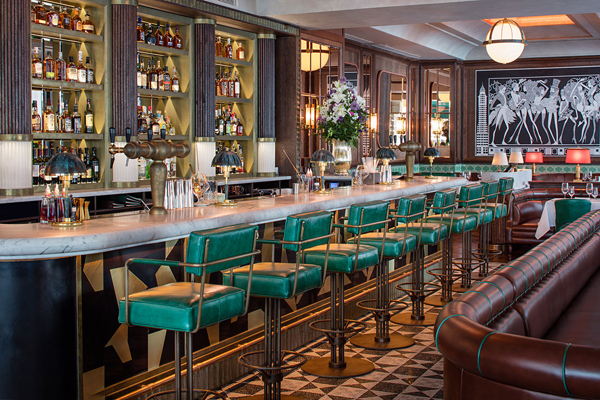 Attention to detail and quality were key elements for the London site and Marquee AV was commissioned to design and install the audio and video for the new venue, located in the landmark Adelphi Building at 1-11 John Adam St., WC2. 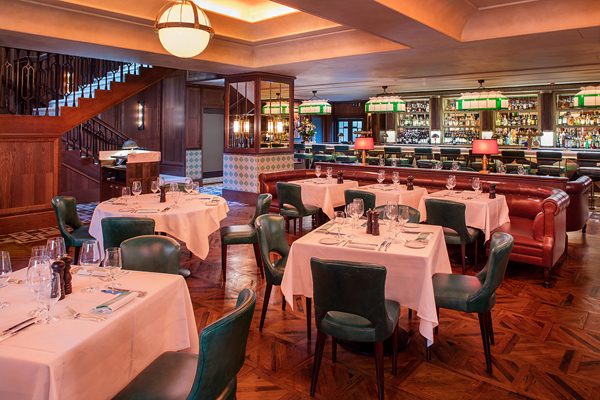 Set over two floors, Smith & Wollensky’s in London has three private dining rooms in addition to its main restaurant. To ensure the highest quality audio with discreet aesthetics, Marquee AV designed a multi-zone system based on B&W ceiling loudspeakers with Biamp control and networking. For the private dining rooms, Marquee also installed video with 4K HD screens and satellite reception. The system is flexible in providing the requirements for each zone, yet simple for the staff to operate.